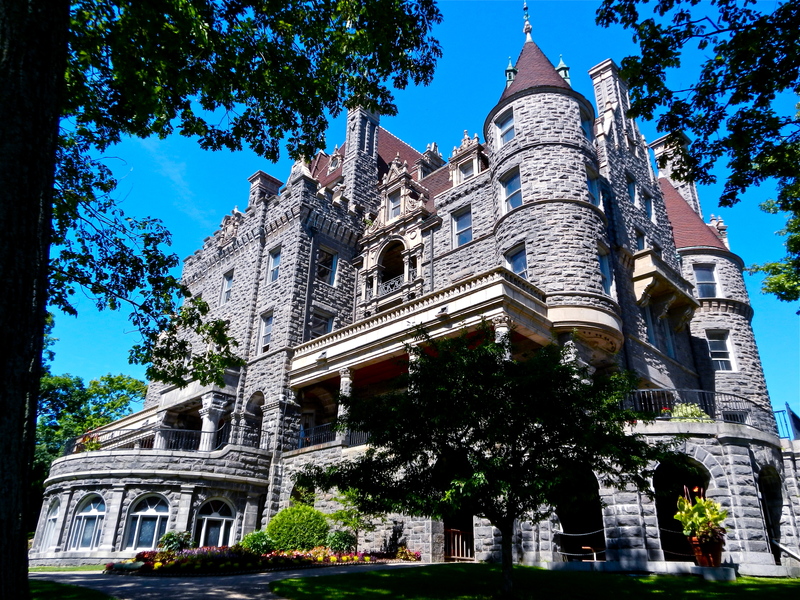 Additional exterior shots of Boldt Castle. 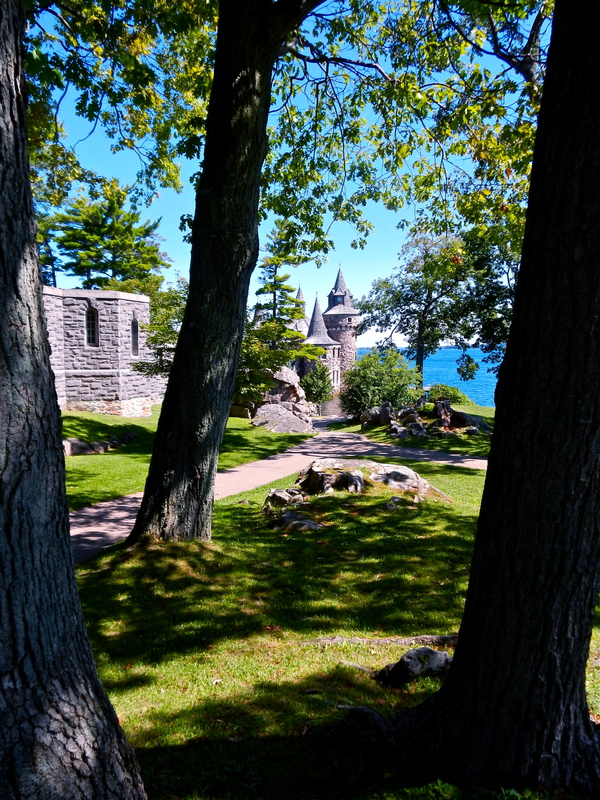 Boldt Castle Power House. 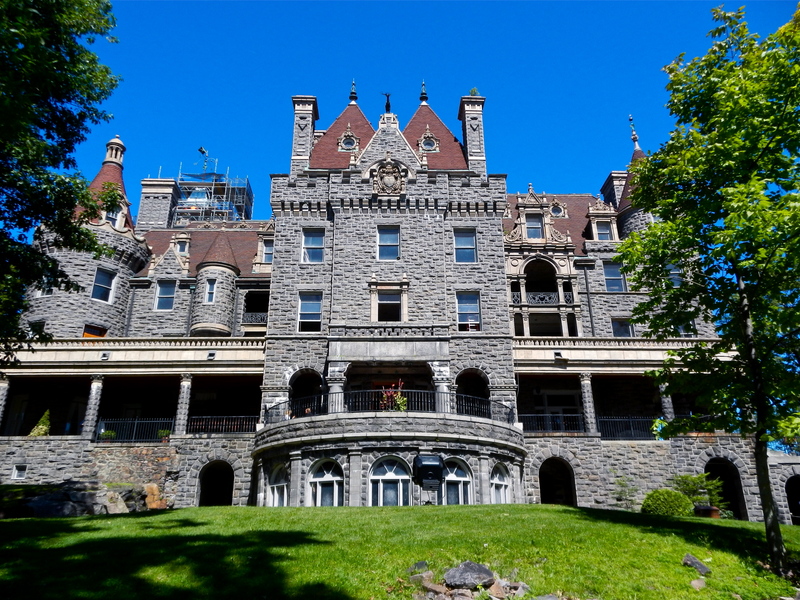 Restored after 1939 fire and deterioration. Original entrance by boat. 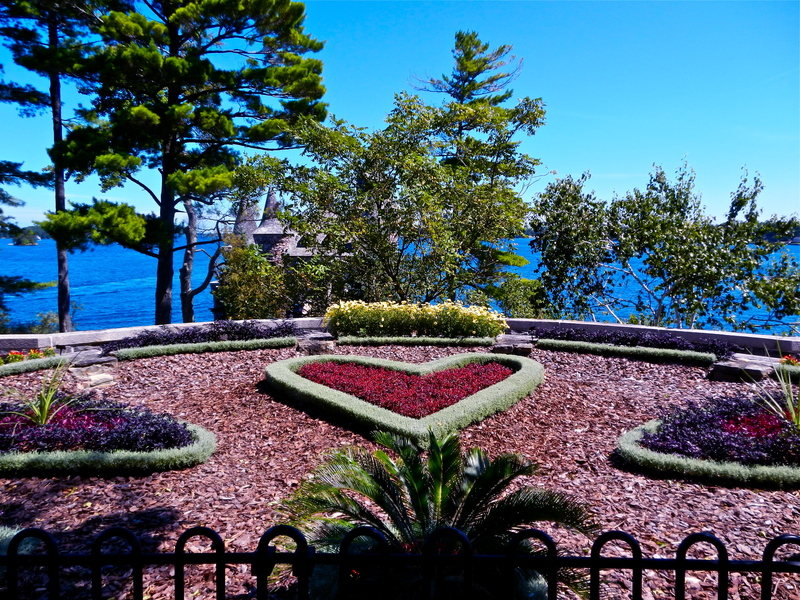 Male deer on top called “harts” represent George Boldt’s European heritage. 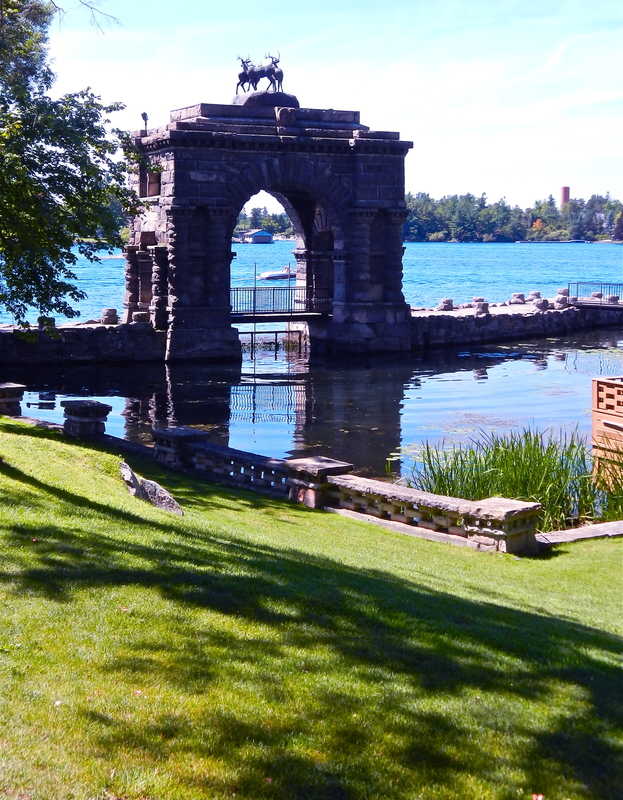 The deer were later added by the Thousand Island Bridge Authority. 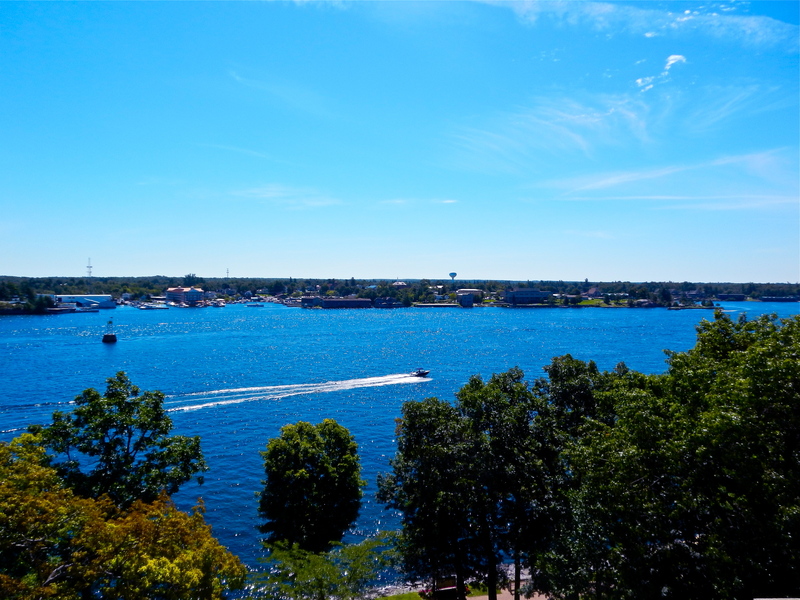 View of the St. Lawrence and Alexandria Bay from the 5th floor of Boldt Castle. 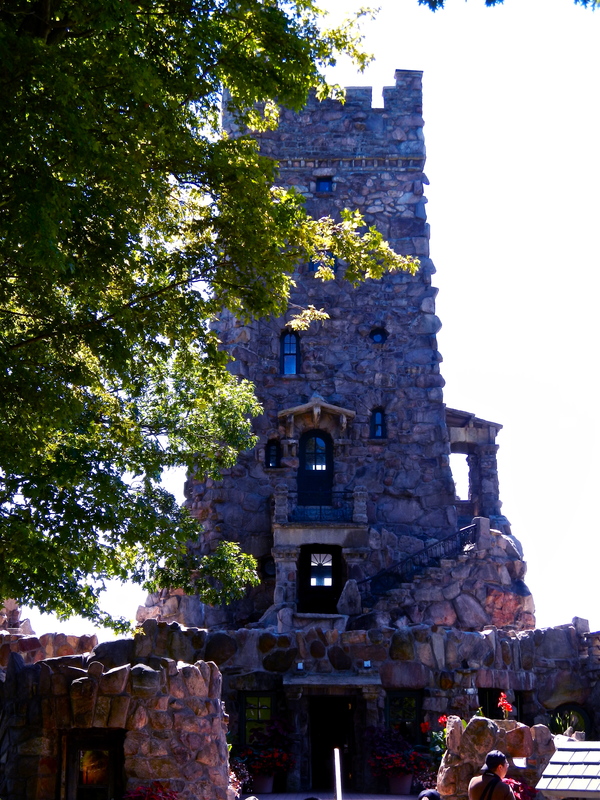 Alster Tower. 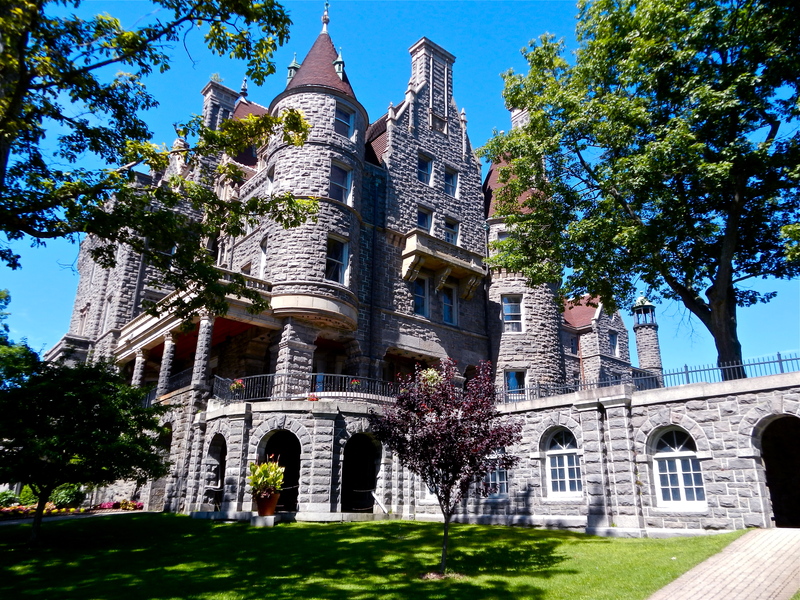 The Boldt’s lived here while the castle was being constructed. 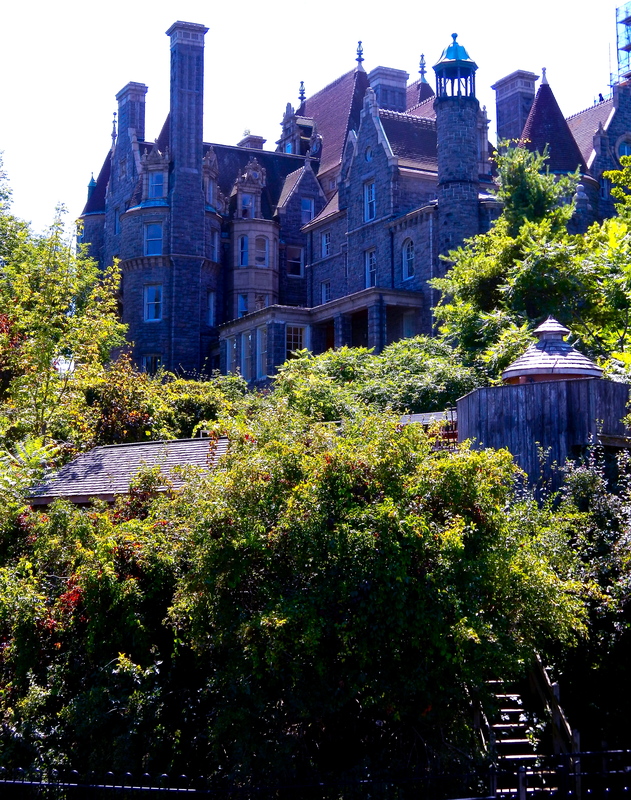 Boldt Castle. Lowest level contains indoor pool. 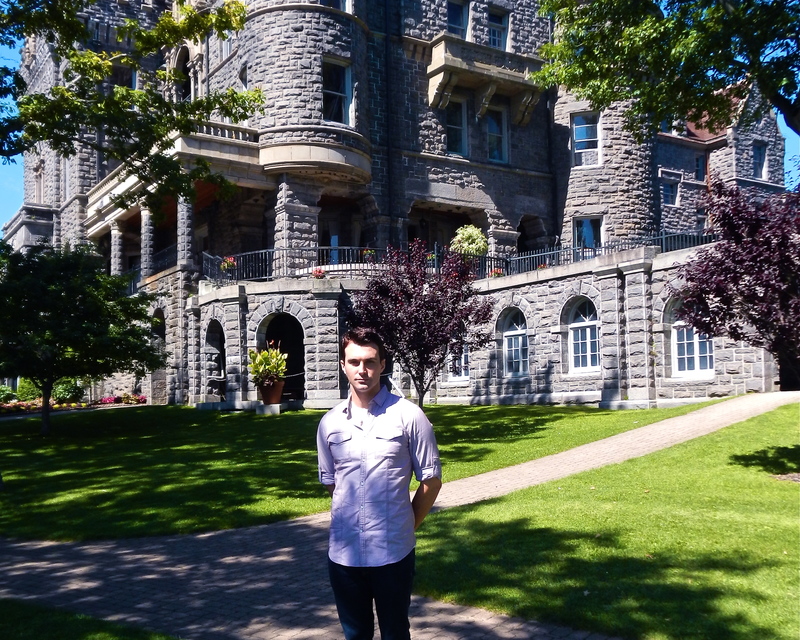 Matthew J. Niewenhous with Boldt Castle in the background. 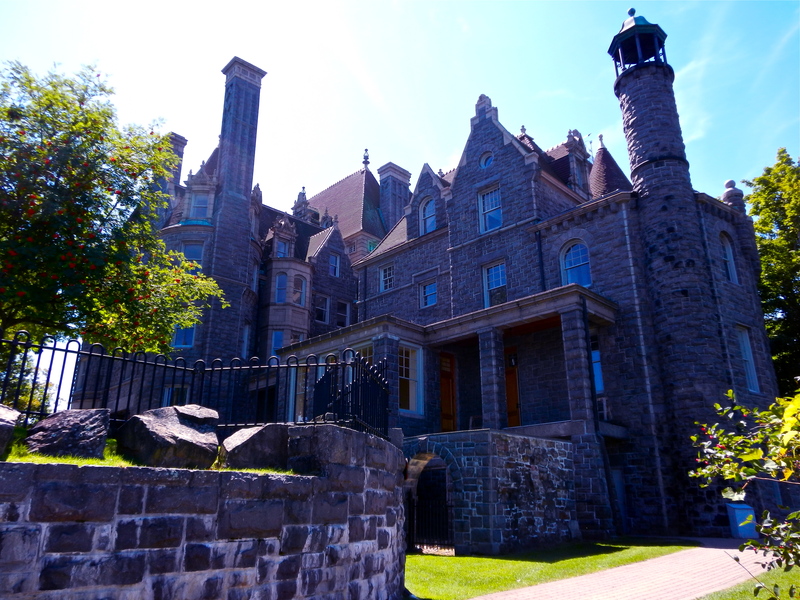 Boldt Castle. 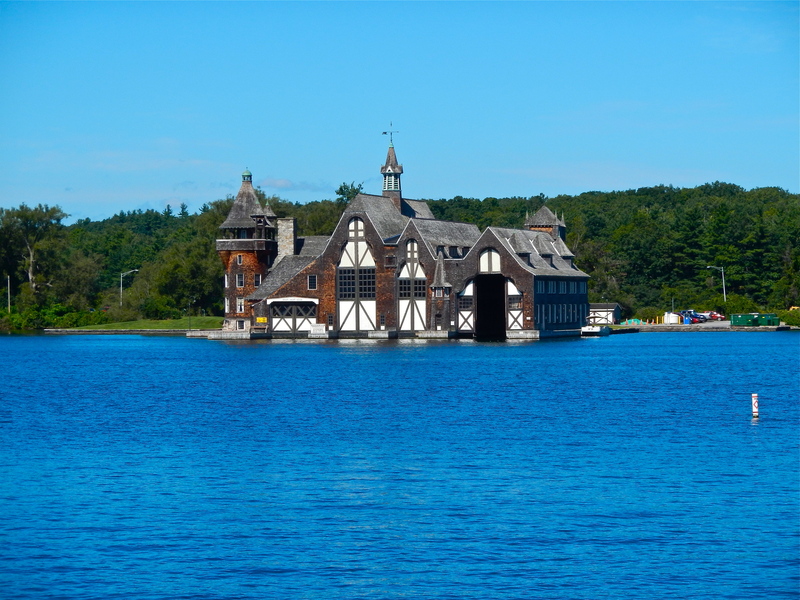 Lowest level is enclosed tunnel from castle basement to opposite side of island near Power House and original docking. 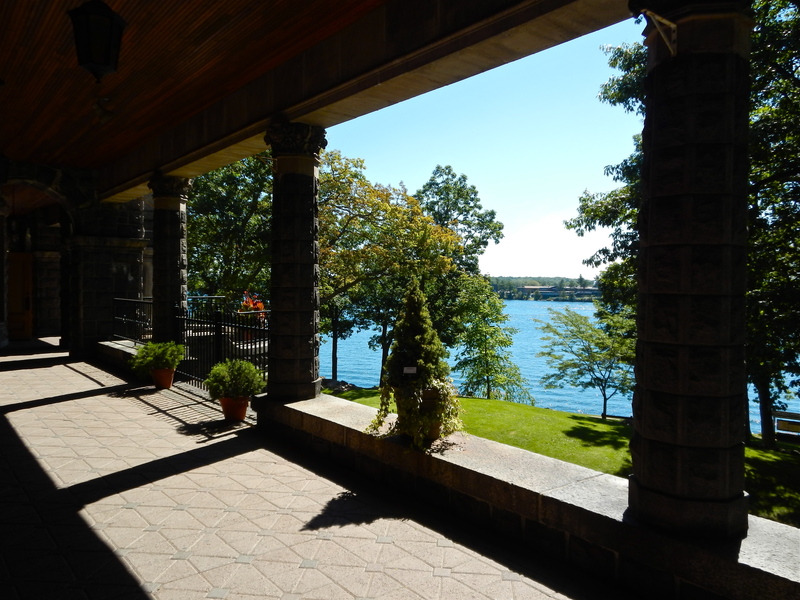 View from first floor porch towards St. Lawrence River. 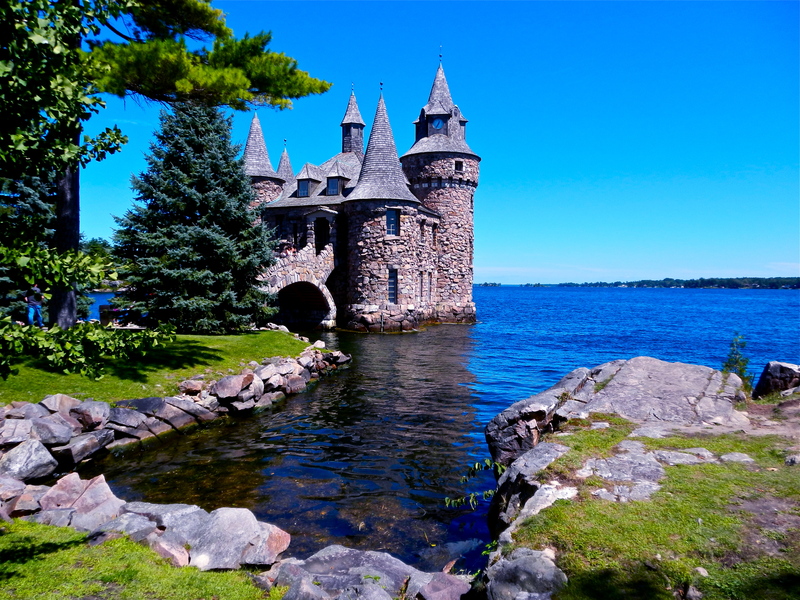 Boldt Castle Yacht House located across the river on Wellesly Island. 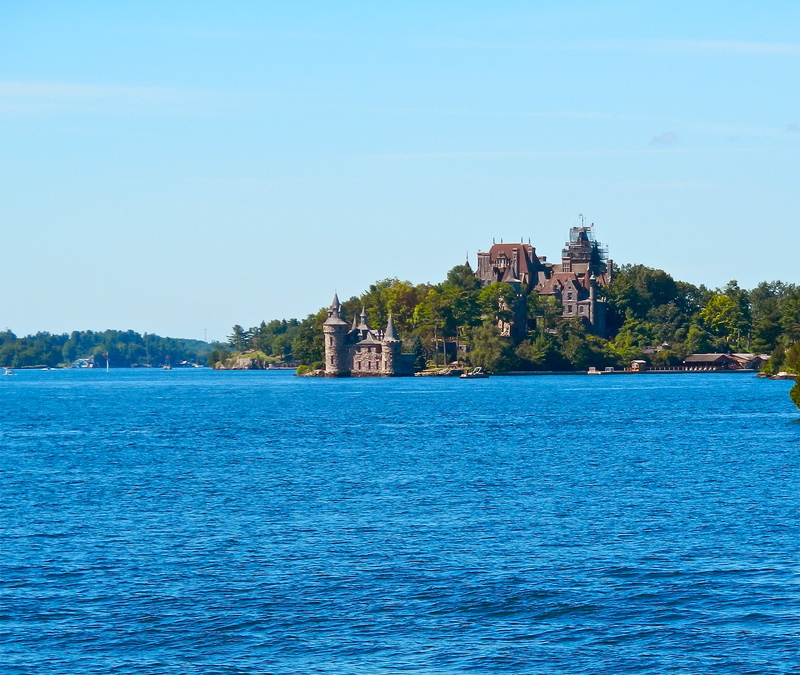 Boldt Castle and Power House in distance across St. Lawrence River.